Our belief is that Christian marriage is a response to God’s grace and call, should be performed as part of Christian worship, and is lived out in the context of the Christian community. For this reason, the session of First Presbyterian limits the use of church facilities for weddings to members and their children only. Death brings grief, loss, and sorrow to us all. As Christians, we affirm with both tears and joy the hope of the gospel. As a community of Christian faith, we offer a ministry of love and hope to all who grieve. Making plans and arrangements in the midst of grief is difficult for everyone. First Presbyterian encourages members to meet with one of our pastors to make your plans in advance. If you are in need of immediate pastoral services, please contact the pastor on call at (828-222-0113). 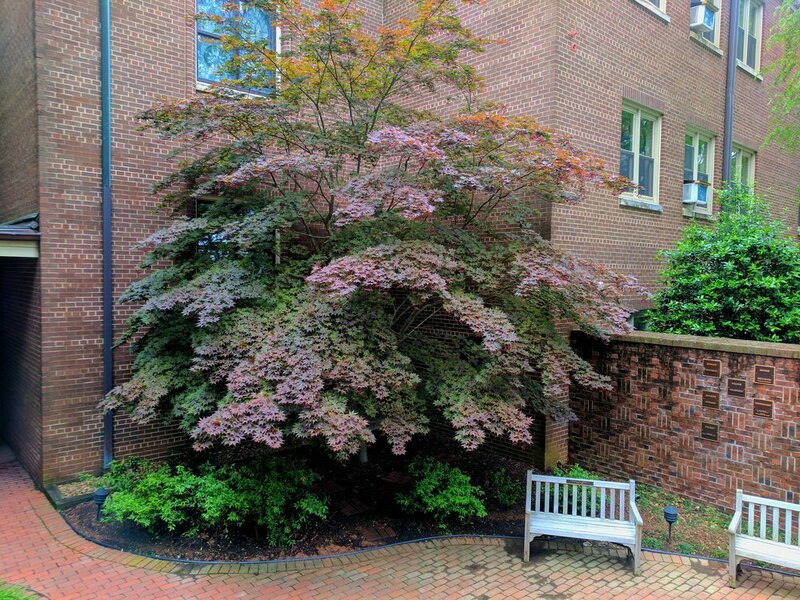 The First Presbyterian Church Memorial Garden is designed as a place for rest, meditation, and prayer, and to serve as an appropriate site for interment of ash remains. The Garden offers interment of ashes in the columbarium or in the earth. The garden is off Church Street, south of the Sanctuary. The Garden is administered by the Memorial Garden Committee, appointed by the Session, under the over sight of the Worship and Property Committees. Policies governing the Garden are subject to approval by the Session. Please contact Robyn McNeal, Church Administrator, for information and an application. You may also print an application located here.